Most gamers have wildly different ideas about how to approach a game. Everyone has their own playstyles, character preferences, and pacing. 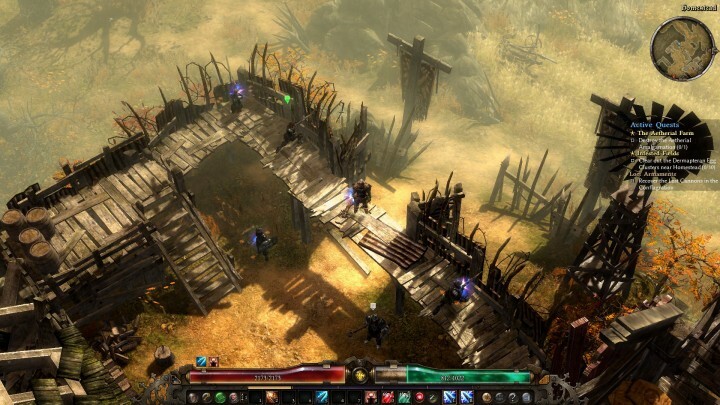 Grim Dawn, an ARPG by Crate Entertainment, strives to satisfy as many diverse player types as possible, offering a huge amount of choice to have fun your own way. From its deeply customizable dual class system to its abundance of exciting loot, there’s a lot to sink your teeth into — no matter what kind of ARPG gamer you are. 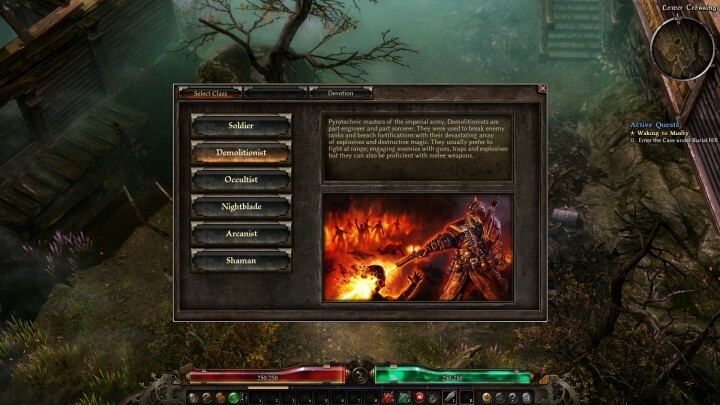 Grim Dawn, like any ARPG, has multiple classes to choose from when you first create your character. These are: Soldier, Demolitionist, Occultist, Nightblade, Arcanist, and Shaman. While you can probably guess what some of these classes are like to play, the options of how to build them go beyond simple archetypes of just “melee tank” or “glass cannon mage”. Each class has various skills that offer different ways to utilize its intended role most effectively, and the choices only become greater after selecting a second mastery for hybrid builds. It’s possible (and encouraged) to mix skills from two classes, creating lots of variety like close combat casters, dual wielding brutes, and life-draining pet masters. 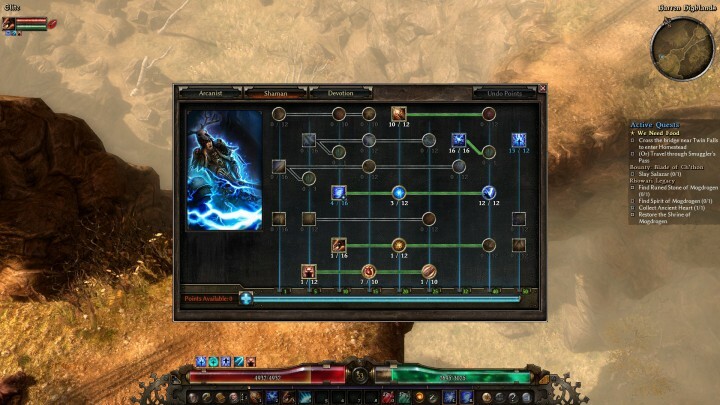 To elaborate a bit more on Grim Dawn‘s interesting skill tree design, it’s setup in a way to allow you to pick and choose your own preferred synergies. Leveling up grants you skill points to invest in your classes, and these points can be spent in two ways: on skills themselves, or on upgrading your class level. A higher class level grants access to more powerful skills and modifiers, and it’s possible to skip some early skills entirely and just invest in the higher-tier abilities. Many skills across classes also play nicely with each other, and you can use lower level buffs with your highly upgraded main skills for better damage, defense, or utility. For example, you can pump everything into the Shaman’s lightning storms while grabbing the Arcanist’s early stuff for better energy regen and critical hit chance. Experimentation is encouraged and more often than not rewarded. Hats off to the dev team for the great Devotion system. To top off the already excellent customization, Grim Dawn has something very unique called the Devotion system. It’s based on constellations that you can apply Devotion points to, which are obtained from restoring shrines throughout the world. 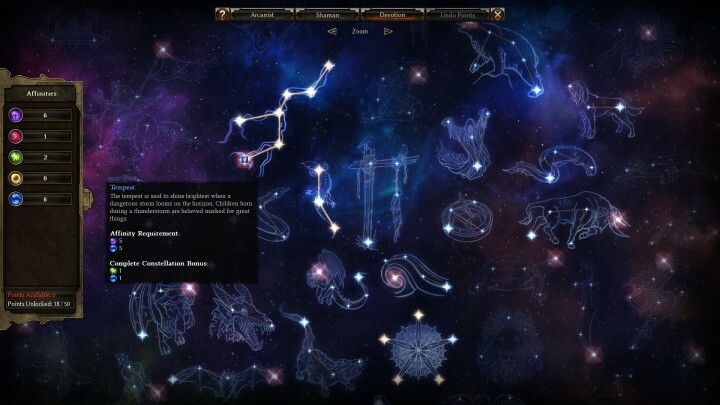 Each constellation offers various bonuses and even special Celestial Powers that augment your class skills. The tricky part is navigating the unintuitive UI and deciphering the dependencies and optimal path to unlock what you want. It’s quite complex and can be overwhelming at first, but Devotions are a really deep and rewarding way of offering further build variety that I’ve never seen before in an ARPG — hats off to the dev team for this great feature. Another thing that Grim Dawn gets right is its crafting system. You’ll find materials and components as you kill enemies, with different ones dropping more frequently from certain enemy types. This gives you more control over targeting what your specific character needs, and feels more like a loot hunt than a slot machine. These items can be combined using recipes — some even of Legendary quality — to create top tier gear or modifications to boost your damage or mitigation. With this crafting system, you can target new gear upgrades, or cover a gear piece’s weakness. In fact, crafting is actually useful all the way until the endgame. The itemization in Grim Dawn is excellent. As for the bread-and-butter of ARPGs, I’m happy to say that the itemization in Grim Dawn is excellent. Stats on gear seems thoughtfully planned, with generally no worthless affixes; even magical items can be useful with the right rolls. And of course, there are plenty of exciting epics and legendaries — my stash space filled up really fast with lots of gear that I wanted to try on new characters and builds. For an ARPG,Grim Dawn‘s story and lore are pretty interesting, but not at first. For a good while, it seems like you’re just fulfilling NPC-assigned objectives and clearing monsters from the post-apocalyptic world of Cairn. It’s not until probably your second or third playthrough that things really click, because most of the best parts about Cairn’s history are scattered around in hidden notes and journals. These firsthand accounts of past atrocities and current events are equal parts informative and creepy, giving quest objectives significantly more context. It’s just a shame that many players will likely ignore most of these collectibles as they rush to kill the next pack of enemies. 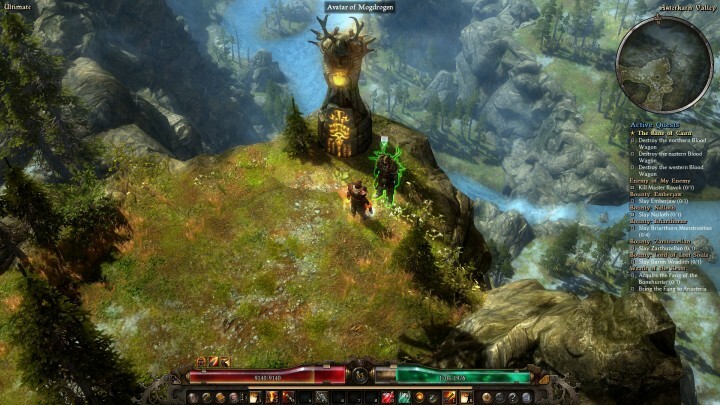 Grim Dawn‘s massive four acts also feature an enormous amount of land to explore. Even after 100 hours, I was still finding hidden nooks and crannies with nice rewards tucked inside, including a clever tribute to Lord of the Rings. The sheer scope and variety of Cairn’s lands makes the campaign actually feel like a grand journey through a real country. After a few trips through an area, I even started to naturally memorize certain landmarks and enemy habitats; bandits are always at camps atop the hills, undead roam the ruins, and you can tell where harpies and yetis prefer to settle. It feels like a lot of attention went into making the world feel lived in. The Faction system makes it seem like the world reacts to you. There’s also a very useful Faction system in place, where you can earn the favor (or hatred) of Cairn’s different inhabitants. Doing quests and killing unique enemies for a faction improves your reputation with them, which grants discounts and access to buy powerful items that can greatly improve your character’s offensive and defensive prowess. Getting a faction to hate you, on the other hand, also rewards you with more rare enemy spawns, which are likely to drop better loot. It’s a fun addition to the game that makes it seem like the world reacts to your ever-improving notoriety. As for the difficulty curve from Normal to the hardest setting, Ultimate, I’d say it seems relatively fair. Loot drop upgrades seem to come at a reasonable pace, and there’s really no need to get lucky with specific build-defining drops just to be capable of advancing past an area. 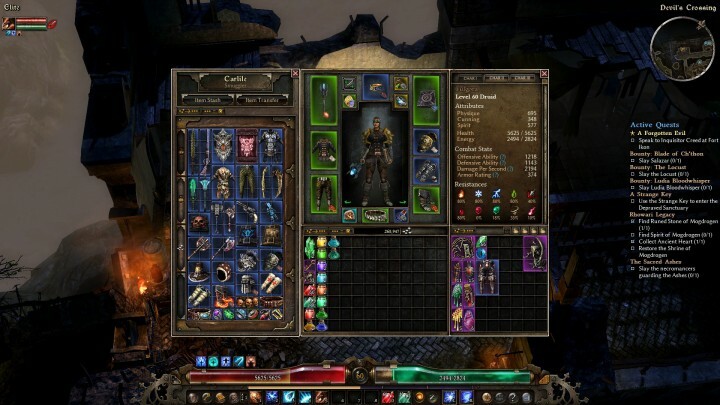 At the harder difficulties, there is a definite emphasis on balancing your defenses with your damage output, but Grim Dawn provides various ways to help with that; crafting and augments are both reliable ways to add missing affixes, and it certainly helps to reduce some frustration when you just don’t have perfect gear rolls. 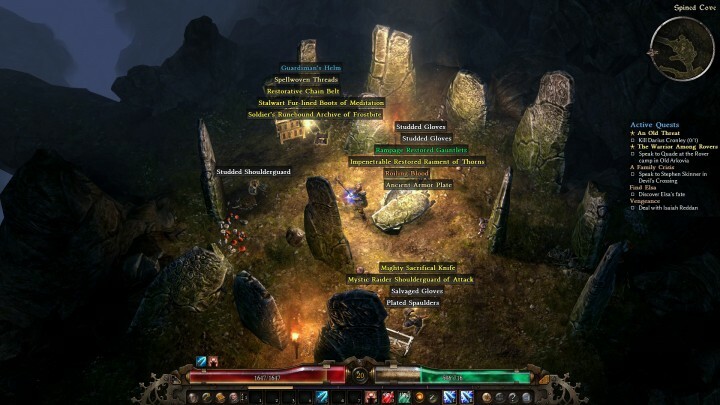 Like most ARPGs, Grim Dawn‘s endgame is basically about one thing: loot. And while it’s a good thing that the loot in this game is certainly well designed and fun to theorycraft builds with, the act of farming itself does get old after awhile. There aren’t any randomly generated uber dungeons to try to keep up variety; you just have to run through different campaign areas to target farm materials or find your own preferred farming route. But once your character and build are capable of taking on the hardest enemies on the hardest difficulty, the only true way to refresh the game is to start a new character and a new build — but after all, that’s what ARPGs are all about anyway. There is one unique addition to make geared out characters sweat though, and that’s the roguelike dungeons called Steps of Torment and Bastion of Chaos. Each is a multi-floor, densely packed hell of powerful enemies and rare heroic spawns, and you only get one chance to complete each dungeon per game session — die and you have to create a new game to try again. While it’s certainly grueling and nerve-wracking, I do wish that the rewards were better for the significant effort involved in conquering these dungeons. Maybe a guaranteed number of epics, or a very highly increased legendary drop chance at the end boss would make them more enticing. Otherwise, they just feel like character benchmarks to test out how strong your build is — play them a few times and move on. It’s a good thing then that getting a character to its strongest levels takes a pretty long time. For me, I spent probably around 100 hours taking a fresh level 1 character to the max level of 85, and gearing it up enough to handle the final areas of Ultimate difficulty. And after getting some interesting drops to craft new builds around, I’m certainly ready to spend a few hundred hours more tinkering with all of the build ideas that I get from my stuffed stash of epic and legendary gear. 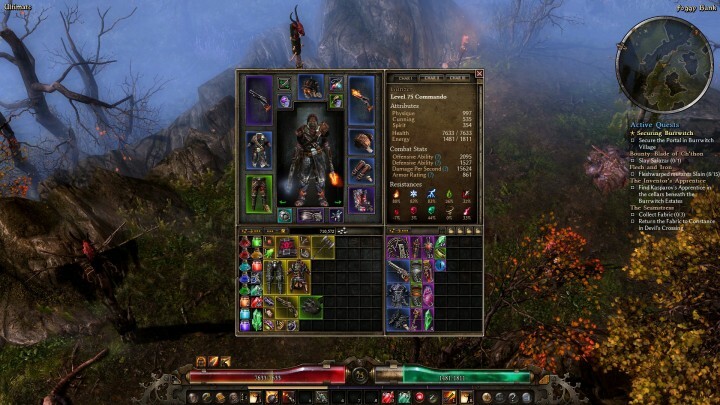 If you want to dive into an ARPG that really values player choice and provides plenty of ways to satisfy it, then look no further than Grim Dawn. 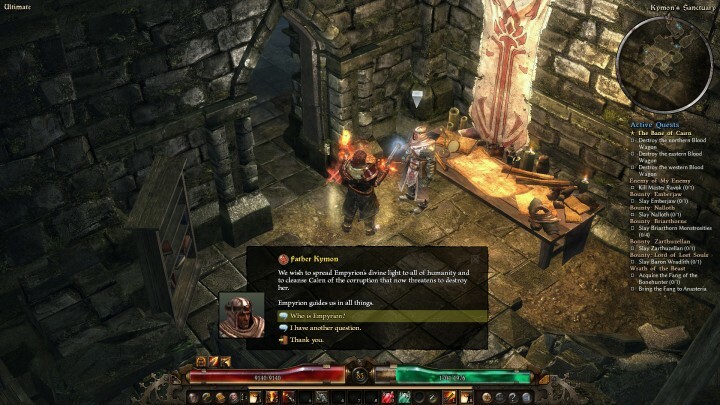 It’s a deeply customizable and immersive game that strives to get away from having a “best build” mentality; the best build for you is the one that you enjoy playing, and Grim Dawn has lots of fun items and subsystems to give every player a chance to discover what that is for themselves.